For any business, understanding who your clients are and what they need from your services is an integral part of the business consumer/customer relationship. For instance if a customer is loyal and buys their vehicles only from your brand, it is great to recognize that loyalty. It is also important to know why the customer continues to come back. The same applies to your employees. Keeping employees engaged and focused on company goals such as increasing safety or recycling is key in creating a more efficient and productive workplace. Engagement of the team is a proven solution for improving many types of workplace metrics. NAC provides your business with a way to appreciate these stakeholders, gather useful data, and reward that participation while also providing a method for follow-up and further engagement. New Age Communications’ R.A.R.E. Event methodology presents businesses with a model of standardized and effective incentive programming that is ready for immediate deployment. The program, R.A.R.E.—which stands for Recognition, Automation, Reward and Engagement—emphasizes exciting participants while keeping them engaged for better relationships with a corporation. Further than that, R.A.R.E. puts a specific emphasis on corporate social responsibility. “Safety is paramount for many companies as it impacts their insurance costs and keeps their employees safe. By implementing a R.A.R.E. workplace solution, companies can incentivize their team members,” says NAC CEO Tawana Bain. The crux of NAC’s R.A.R.E. event is data collection. Using activities to stimulate engagement and express appreciation, NAC is able to garner valuable data at R.A.R.E. Events. Via a R.A.R.E. Program Module, there is ongoing participant engagement to earn credits which can be used to acquire high-quality items including custom imprinted merchandise. This platform can be deployed for employees, clients, vendors, and other stakeholders. The added benefits of a R.A.R.E. Program Module are stronger buy-in, valuable data for tracking improvements and telling your story, expanded brand awareness, and measurable savings to the bottom line. New Age Communications in Louisville, Kentucky developed the R.A.R.E. system in 2011. The program has since successfully aided organizations of varying sizes to increase stakeholder engagement and quality within their various initiatives. Some of the components of R.A.R.E. 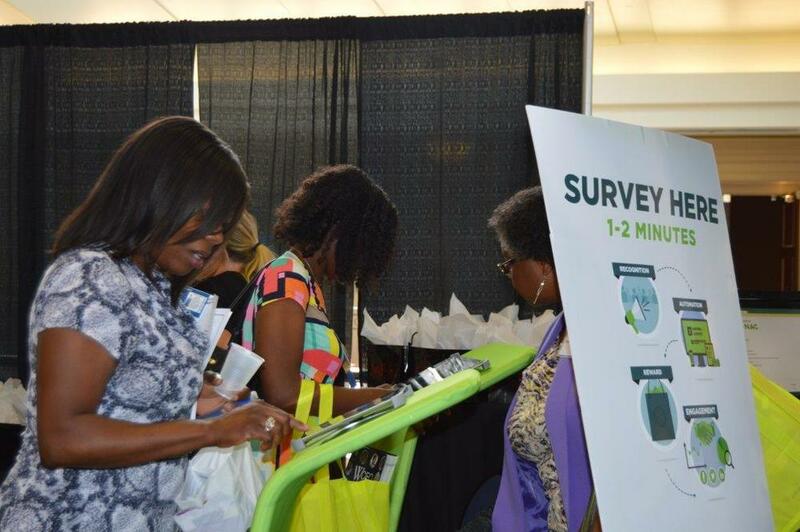 that have proven useful are survey participation; corporate programs and goals such as safety awareness, workplace improvement activities, volunteerism and conference trade show engagement. When your company contracts NAC to conduct a R.A.R.E. event, you can expect an attractive and engaging display, easy to use data collection using the latest technology (tablets and touchscreens) and quality incentive merchandise. The more frequently your employees or customers engage with the programming, the more incentives they can earn. This helps ensure that you will have quality information available whenever you need it. Ask us about our R.A.R.E. event for your next stakeholder engagement initiative. 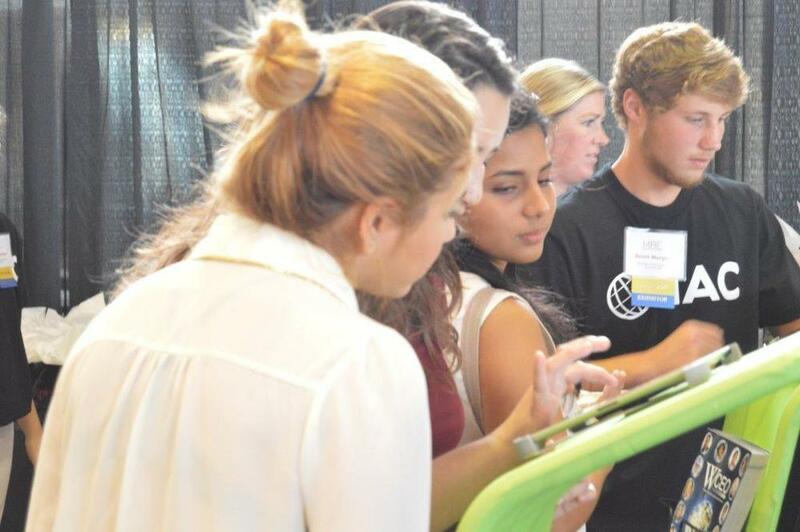 Whether the event needs to be in office, at a tradeshow or at another off-campus event, New Age Communications is ready to put R.A.R.E. into action.